I’ve been working on this site for some time, and am finally excited to be able to publish it. This new doula blog page will be dedicated to my ramblings from time to time. 🙂 For today, I just want to talk about this photo. Isn’t it absolutely amazing!? 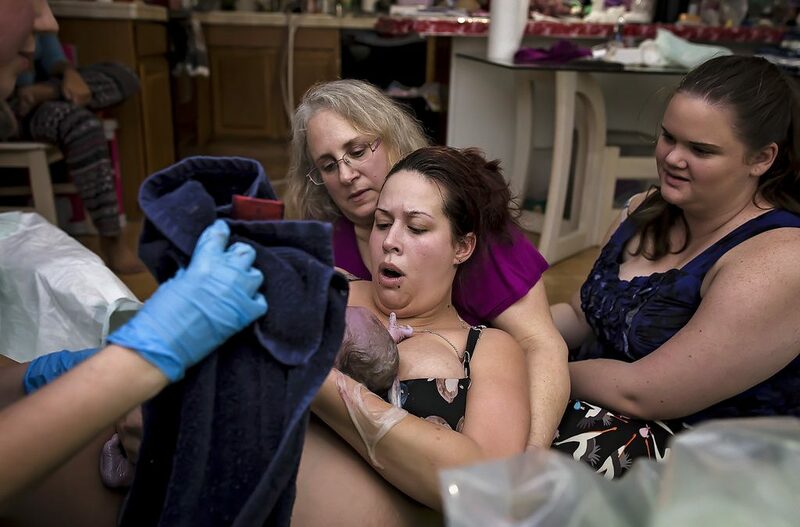 It was taken by a local birth photographer, Michelle Lynn, Hampton Roads Birth Photographer. She was very gracious and gave me permission to use several photos she took of me with my client. If you want great memories from your birth, I highly recommend Michell. She is truly exceptional and talented in her craft. She is also a doula, and my experience with her in the role of birth photographer is that she is very stealth and unobtrusive, but doesn’t miss those amazing moments. I barely even knew she was there! Professional birth photography is a worthwhile investment that will bring you back to these amazing, beautiful, miraculous moments to treasure for the rest of your life!